We all have the potential to develop our psychic and intuitive abilities. 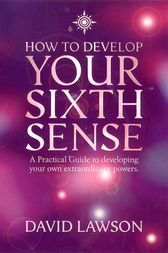 Through using this book, you may discover that you are a natural healer or a latent clairaudient. You could awaken a powerful clairvoyant vision. Activating your psychic potential is safe, transformational, and fun.